Last week, Rural Action kicked off our two-month Summer VISTA program by welcoming 12 new Summer Associates to our organization. Working with Rural Action, Community Food Initiatives, and Good Works, our Summer Associates have been an important hallmark of our work at Rural Action in recent years. 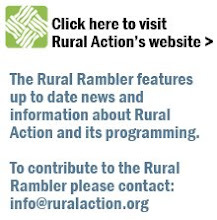 Summer VISTAs traditionally work at Rural Action from June - August in the year of their service, helping us to tackle many of our summer projects, including the Chesterhill Produce Action, Watershed Daycamps, and plenty of other great events during the course of the season. Emily Alexy, a graduate of Wesleyan University in Connecticut and a recent Peace Corps volunteer who just returned from Zambia, has extensive community service experience and will be entering graduate school this fall to pursue a Masters in public health. Max Puterbaugh, a former Habitat for Humanity worker, also served with the Empowerment Campaign at OU prior to joining our Summer Associates program. He is currently studying political science at Ohio University. Both Emily and Max are serving with Good Works this summer assisting with their community garden and teen programs. Community Food Initiatives has five Summer Associates working with them this season to support their work in improving food security, supporting local food initiatives, and maintaining community gardens in our region. Crystal Edmunds is a 2009 graduate from the Scripps School of Journalism at Ohio University and has been involved with The Empowerment Campaign, an NGO that provides educational resources to orphans and vulnerable children in Uganda. Taryn Longberry, already an active volunteer with CFI, has joined them for the summer on a more permanent basis. An environmental education graduate of OU, she recently spent a quarter studying in Newcastle Australia. Leslie Miller had previously volunteered with CFI before becoming a Summer Associate. She has a Bachelor's degree from Pike Peak Community College in Colorado. Ashley Moore brings her experience working as a summer intern working at a domestic violence center in Vinton Co. leading a girls day camp. She is also a 2009 OU graduate in Social Work/Psychology. Michelle Shaw will expand her service to America through her work during a summer term. 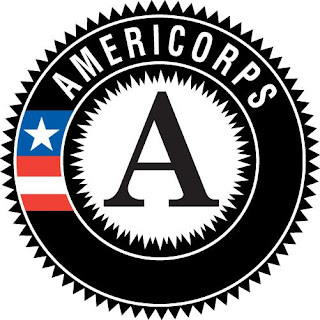 She previously completed a year of service as a full-term AmeriCorpsVISTA two years ago at one of Rural Action's watershed groups. She has an Environmental Geography degree from Ohio University and put it to good use last year by working with the Willow Bend Environmental Education Center in Flagstaff, Arizona. Chelsea Arrowood has returned for a second summer term with Monday Creek Watershed Restoration Project and Sunday Creek Watershed Group. She is assisting with outreach and environmental education activities through day camps and other youth and community based events. Jesse Daubert, working toward a Bachelor of Science degree at Marietta College is serving with the Friends of Lower Muskingum watershed program in Marietta. He is supporting their summer outreach and education events and activities focusing on this Muskingum River watershed. Teny Bannick is serving as the Rural Action Energy Committee Summer Associate supporting the continued development of a local park and ride project and other energy conservation activities. She is a graduate of Fine Arts from Berkshire Community College. To support Rural Action's summer youth programming, Kelsey O'Conner has joined the Summer Associate crew. Working toward a degree in Forensic Chemistry from OU, she has experience working with youth as a former camp counselor and 4-H member. Kevin Fletcher is returning for a second year as the Sustainable Agriculture Summer Associate. Kevin is a 2008 graduate of OU in Environmental Studies. His work will support the Chesterhill Produce Auction and the newly launched ohiofoodshed.org website.